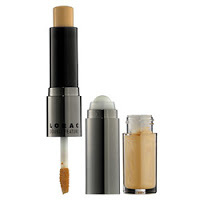 LORAC Double Feature Concealer ($24): I initially saw the rollerball applicator and thought, well how’s that going to work? The answer is PERFECTLY. It’s so much better than that old “use the pad of your ring finger to blend lightly” trick. 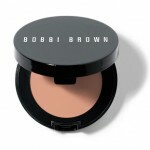 It blends makeup expertly – not so much that it removes it, not too little so that you’re all smeary. As if that’s not phenom enough, the other side houses a gorge little moisture-rich highlighter to brighten up your under eye area and cheekbones. Genius! 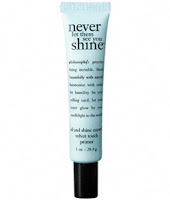 Philosophy Never Let them See you Shine Primer ($20): My melt-proof summer skin menu involves this miracle mattifier (works best when mixed with moisturizer), concealer, some stain on my lips and cheeks, and a coat of mascara. Done. My weekdays entail daily no-way-to-anticipate-them immediate deadlines that come with an ample dose of pressure at work peppered with the odd beauty event that I’m either scurrying off to either during lunch or post-work – so I spend a LOT of time schvitzing underground anxiously waiting for the subway. And did I mention I sweat when I’m nerv about being late to something? I do. My anxiety level parallels that of Rain Man‘s Raymond when he is in danger of missing Wapner on The People’s Court. This gem of a product keeps my mug glisten-free so I can spend my time listening to George Michael on my iPod instead of rooting through the cavern that is my purse for some blotting papers. Arm & Hammer Whitening Booster ($6): Whitening strips are great for those who remember to USE them twice a day for 14 days straight. I am not one of those people. I’m not one of those people who is good about going to the gym on a regular basis, loves waking up early, nor can commit to 14 days of budgeted teeth-whitening time. So I’m loving Arm & Hammer’s new alternative, Whitening Booster, which you simply squeeze right on top of your regular toothpaste. It produces an impressive foam (I LOVE A FOAM), and yields noticeably whiter teeth in days. As in, I used it once a day for three days, and people commented. Seriously. It’s also enamel-safe, so no need to fret about hot or cold liquid consumption while you whiten. Use it and have teeth whiter than Audrina Patridge‘s. 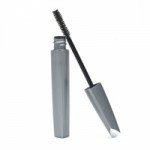 Photo credits: sephora.com, philosophy.com, drugstore.com. have i told you how much i love you lately?! this post just made me LOL several times!!! the stuff about ‘schvitzing’ and Rain Man?! hahahah!!! i’m VERY interested in how that little rollerball thing works, and am SO on my way to Walgreen’s right now (or maybe tomorrow) to get that toothpaste booster!!! they have a very similar product that i’ve seen on QVC and i always want to order it, but now i can just hit up the drugstore!!! yay!